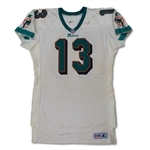 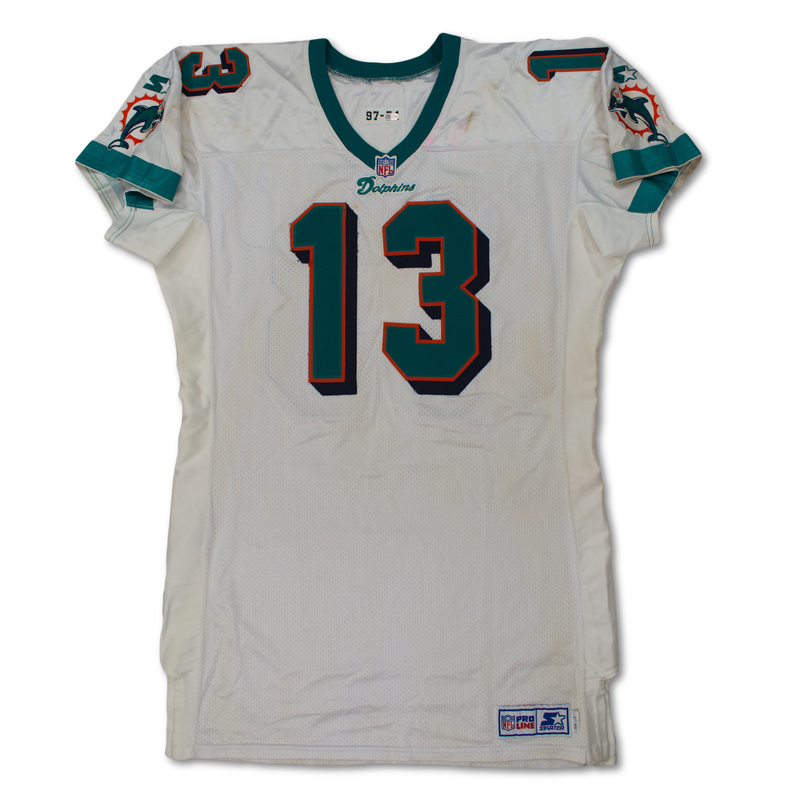 Presented is a road Miami Dolphins jersey worn by Dan Marino during the 1997 NFL season. 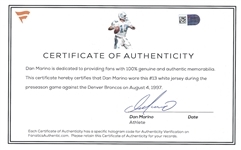 The jersey is accompanied with a Fanatics COA that is signed by Dan Marino with matching holograms that read "AA0017923". 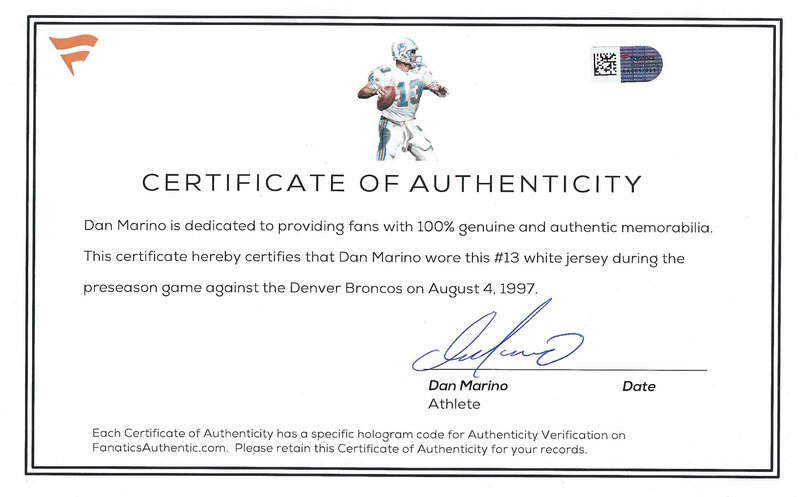 The jersey is attributed to a contest on August 4, 1997 versus the Denver Broncos in Mexico. 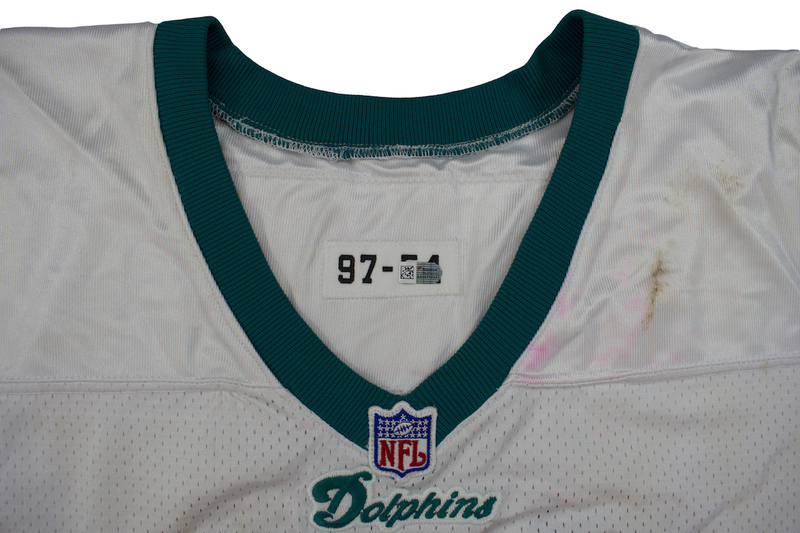 The garment is tagged "97-54" indicating the year and size of the jersey. The jersey mesh Starter jersey features teal-on-orange-on-navy tackle twill numbers with teal-on-orange letters on a white nameplate. 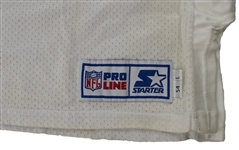 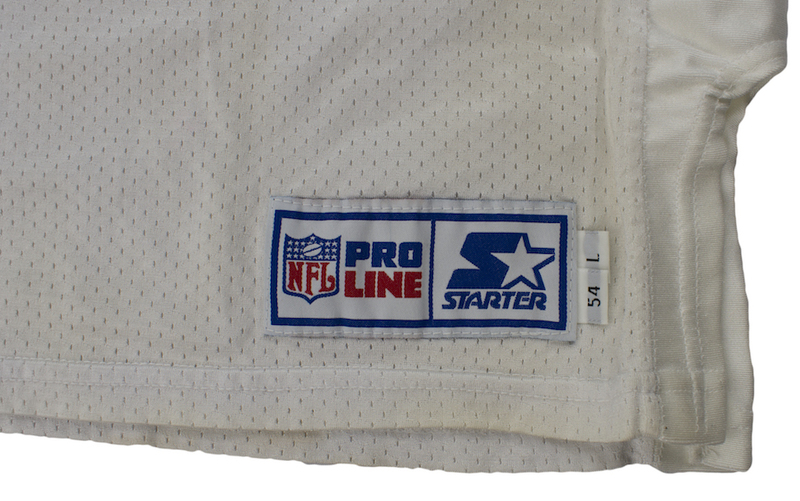 The jersey shows outstanding game use with fraying, loose threads and heavy grass stains and soiling. 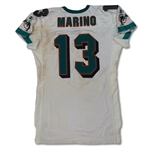 This jersey was sourced directly from Marino himself. 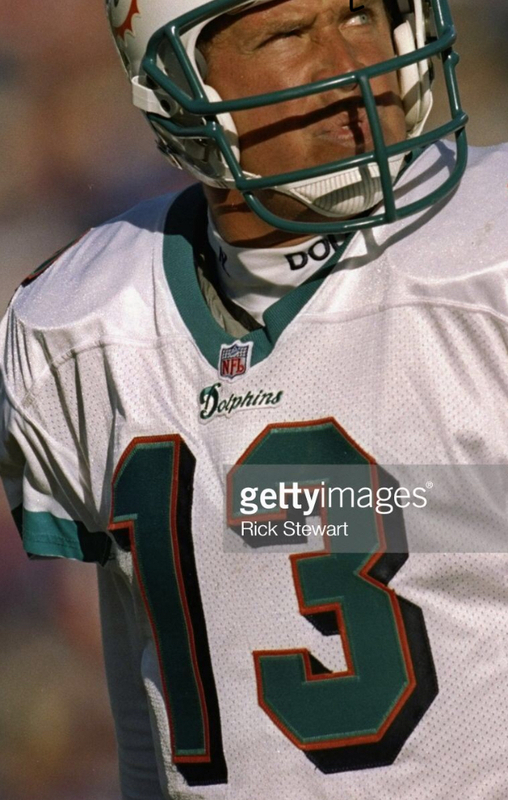 The level of wear present on the jersey is consistent with multiple game use which leads us to believe that this jersey could have possibly been worn later in the season as well.